Maps serve many purposes. They help us find our way when lost; we can locate where we are, where we want to go, and the possible routes between those two points. Through our daily activities and travels we construct an assortment of mental maps, an exercise perhaps best experienced and more detailed when walking. When we move away from conventional maps, our maps become much more interesting and personalized. Ask two people to draw a map of the same neighbourhood and observe how completely different they are. Take these maps from the Green Mapping sessions for example: the drawers of Maps 1 and 2 live in the same house; as do the drawers of Maps 3 and 4. This evening I found a collection of hand-drawn maps that illustrates how they can be creatively used to communicate a wide range of information, including directions, community assets, thought processes, and in the example below, childhood memories. Nearly 200 such maps have been collected by the Pennsylvania-based Hand Drawn Map Association. Maps are tools that shape our perception of place. All humanity, particularly the majority who live in cities, is challenged to protect, enhance and create healthy social and natural environments. Community mapping provides an inclusive and graphic framework for people to affirm and pool their experiences and knowledge about their home place. Community mapping is as much about process as it is about ‘getting the map done.’ As a participatory and creative educational tool, mapping relies on the active engagement of participants. The process of map-making can bring together diverse perspectives and people to create dialogue and common understanding. For people concerned with development issues, mapping can be a powerful organizing, planning and advocacy tool. Citizens locate and affirm the historical, physical, social, cultural and even spiritual attributes of their home place. Through the process of creating and revising maps, communities are better equipped to proactively address their interests and concerns. 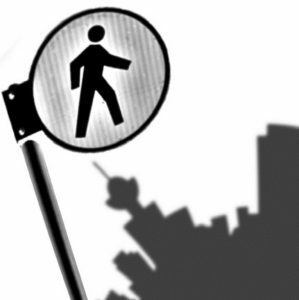 Next Post How Walkable is Your Neighbourhood? Natalie, I think Pedestrian City is a great project, and thanks for writing about us. Just to clarify, we are based in Pennsylvania not Wisconsin. 🙂 It would be great to share some maps from your project on our site. Keep in touch.